Blogger doesn't have a re-blog option. This post from past was first published on the blog I kept for family. Happy St. Patrick's Day! A loving post Lee Anne. May your memories bring you peace. Happy St. Patrick's Day. Happy St. Patrick's Day! What a wonderful heritage you dad has given to you. Thanks for sharing it. 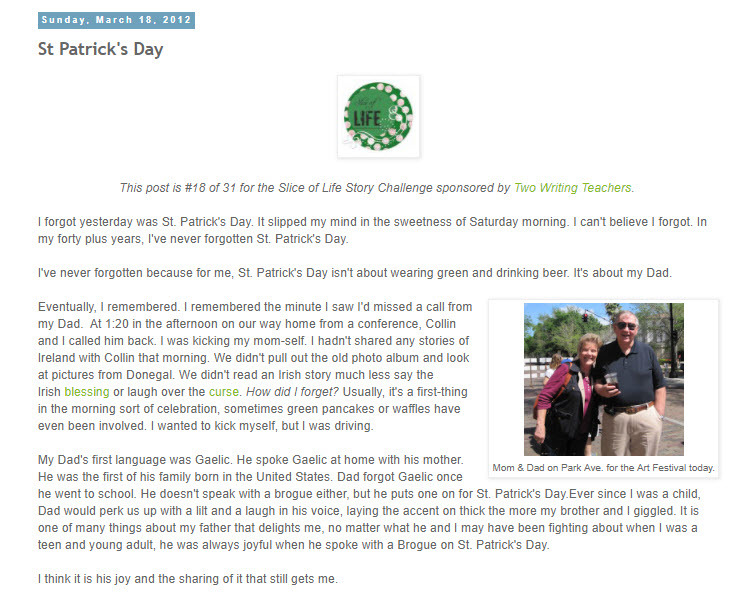 I remember reading this tribute to your father on another St. Patrick’s Day. This time the story fills me w/ emotion. Wishing you peace. I, too, wrote about my Dad today. It was a cleansing post! I am glad you did not forget this year:) Thank you for sharing your Dad with us!